This visually striking 'risotto' actually doesn't contain any rice at all. Pascal Aussignac's low carb version utilises the glorious flavour and soft texture of leeks to create a dish on a par with the richest of risottos. 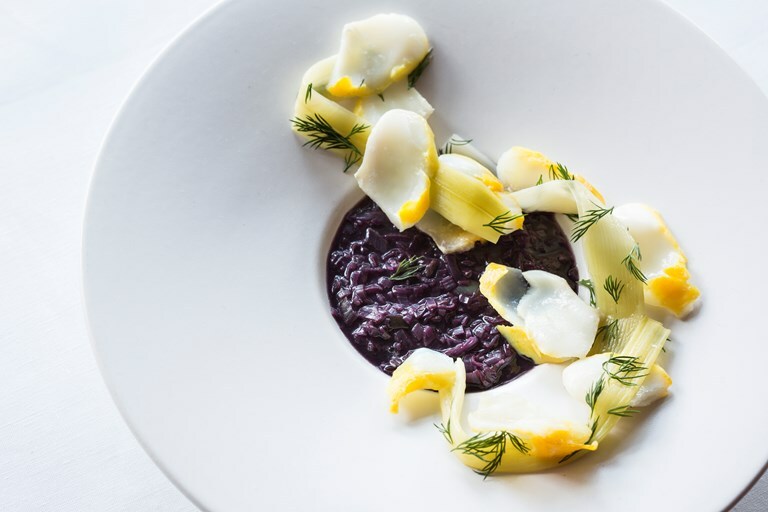 The finely chopped green parts of the leeks are stained purple with red wine and redcurrant jelly, and served with an attractive arrangement of smoked haddock and delicate white leek ribbons.